Buckley’s concise text devoutly details the process of enhancing revelatory wisdom in accordance with the Christian faith. Jocelyn Y. Buckley writes knowledgeably about the process of developing prophetic skills as prescribed by the tenets of her Christian faith. 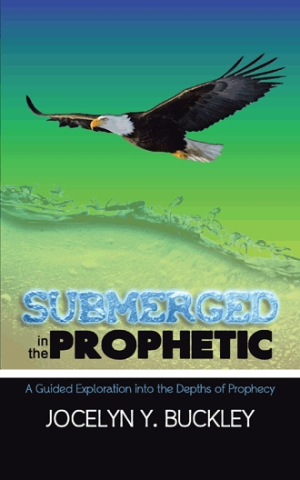 Submerged in the Prophetic: A Guided Exploration into the Depths of Prophecy offers guidelines derived from biblical text as well as from the author’s extensive service as a minister of prophetic operations. Buckley’s inherent gift for prophecy emerged during her early-childhood religious education in a small Baptist church in Mississippi. In this book, she specifies the steps recommended to refine prophetic ability, and emphasizes the need for sincere study, patience, and obedience to God’s will. Quotations from the Bible support the phases of training she describes, which focus on teaching students to recognize prophetic occurrences and to follow church protocol for sharing them for the good of others. Each of the eleven chapters begins with an appropriate biblical passage. Sidebars in bold italicized print reinforce some significant ideas stated in the narrative, such as, “Faith is the supernatural ability to see in the dark.” A bibliography and appendix conclude this short but informative book. The carefully-organized content and Buckley’s conversational first-person voice contribute to this book’s readability. Her concise text devoutly details the process of enhancing revelatory wisdom in accordance with her Christian faith. Those who might disagree with certain aspects of this particular belief system may still benefit from reading her thoughtful explanation of an alternative point of view. Submerged in the Prophetic offers valuable information about training in Christian prophecy for those interested in the subject or in development of their own revelatory potential.